What the Hell? Chapter One. What the Hell? Chapter two. HEY GUYS!! This is Charlie, Lianna&apos;s Best friend (: I kinda broke her computer and threw her ipod in her pool. Sorry guys, I would explain why, but it&apos;s a LONG story! Ok please vote, because it makes me happy! Comment because it&apos;s fun to read comments! And Fan! Because it makes you part of my totally awesome clan we&apos;ve got goin&apos; on over here! My legs were screaming because of how tired I was, but I knew I had to protect my mate. I took another step forward in a way of challenging both strangers. "Oh Mr. Alpha," The girl known as Jess stepped forward and walked up close enough that I could easily snap at her leg and snap it like a twig, but being myself, I wanted it to be a fair fight. "If you really want to keep all you know and love safe," She whispered in my ear, "You will hand over your whole pack, to me. And there will be no trouble," She smirked as she backed away. "So what will it be Mr.Alpha?" She teased me. I growled loudly making my throat ache with dryness. "Chris, don&apos;t do this..." Belle told me from behind. I shot her a glance, &apos;Don&apos;t worry about me, get the rest of the fighter wolves and call them here. They won&apos;t be able to take them all at once.&apos; I mind linked to her. She nodded and Jess laughed. "Calling your pack? Who do you think defeated the ones that came after us earlier? We did, they didn&apos;t just fall into a black hole and never come back. No. They were taken back to our pack facility, you can go there without a pack, or we can just do it the hard way! That ones my favorite." She said, her eyes were a sparkling gold and I could see her mates mark engraved on her right shoulder. "Yes, Alpha Heywood (I think, I&apos;m not sure because this is the only chapter I&apos;ve written-- Charlie)... oh what am I doing? Chris," Hayden spoke up making me growl, "Just give in. 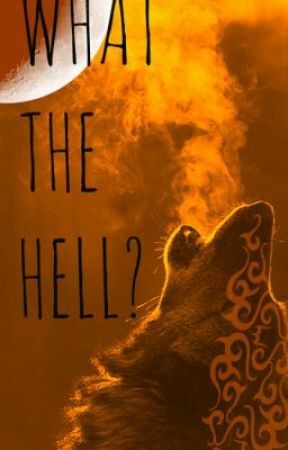 Like her old pack did, it&apos;s so simple,"
That was all I could take, I leaped forward towards Hayden and he shifted into his gigantic balck furred wolf and easily avoided my attack, sending my flying into the rubble. I managed to stand back up and face Hayden.